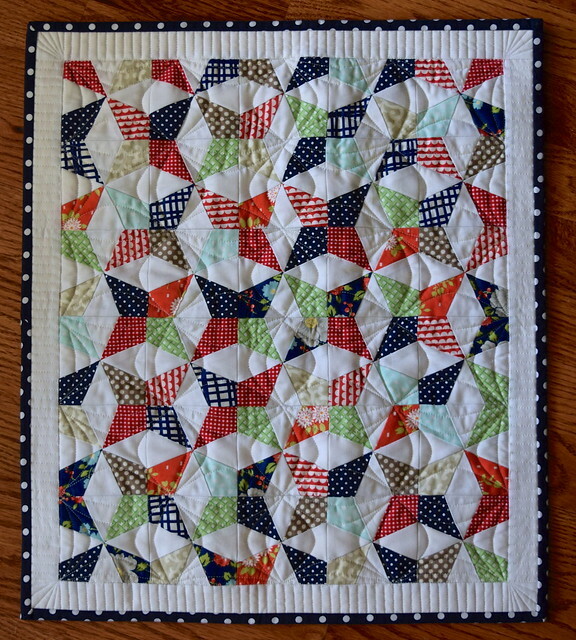 This is the miniature quilt version of my Square Dance quilt pattern (8 inch finished version currently available on Craftsy). I’m working on expanding the sizes available, and these blocks are 2.5 inches finished. 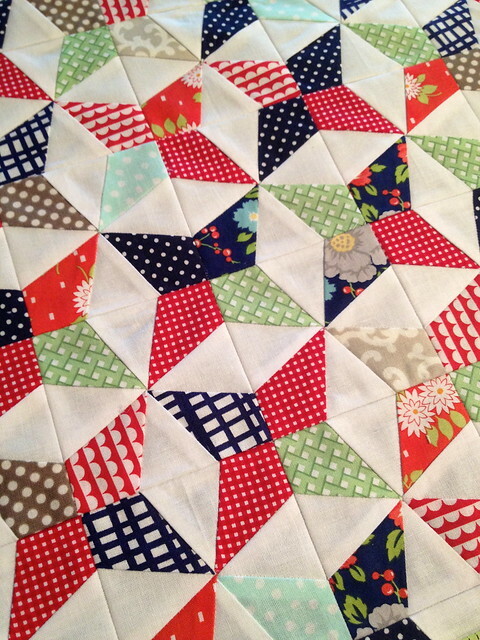 Below is a closeup of the Square Dance mini quilt top prior to quilting. 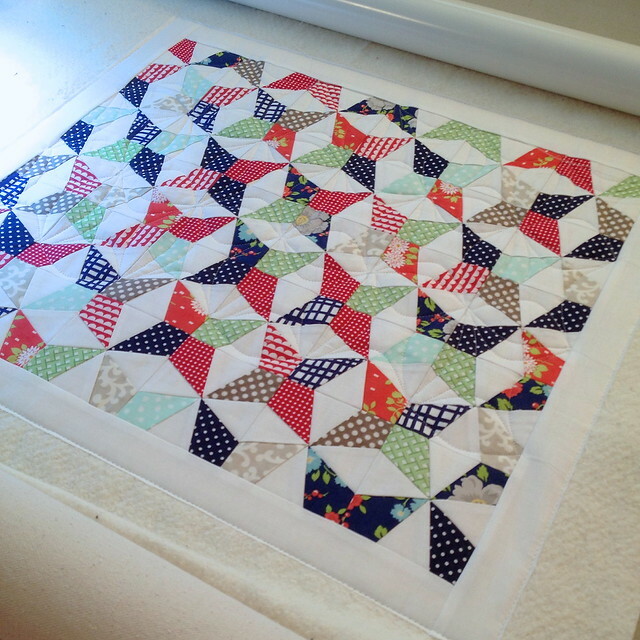 This quilt measures 17″ by 20″, so it actually fit on my machine between the rollers. It required no advancing to finish. 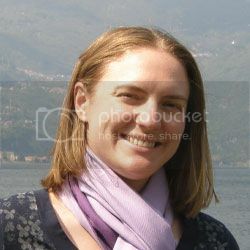 You may think that long arm machine quilting is only for your biggest quilts, but I can do any size. 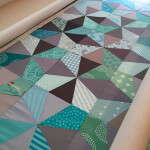 If you send several small projects at the same time and use the same backing, machine quilting can be worth it even for small projects. Here is a closeup of the design – I used the Bread Basket panto for the center of the mini quilt and did piano keys in the outside border. You can really see the texture on the back. I used one leftover block and centered it with tan linen. 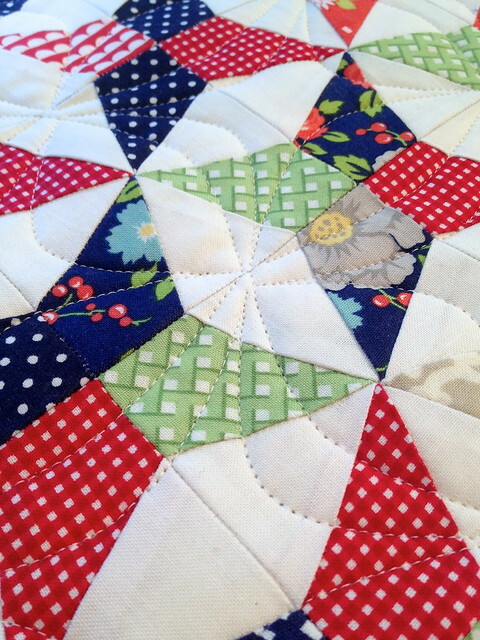 I really love how the linen as the backing turned out, and it was no issue to quilt. 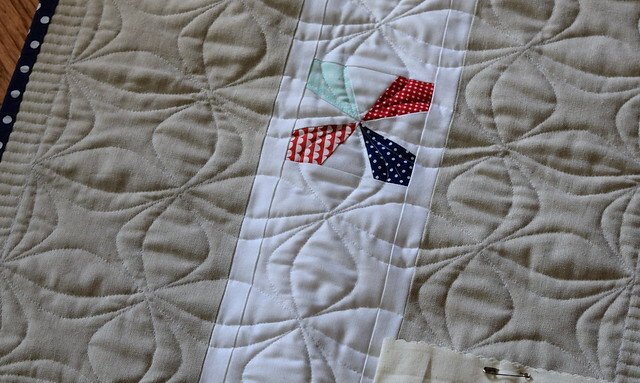 Here is another angle showing the quilting a little more. 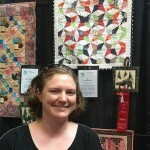 Please let me know if I can assist you to finish your quilt top of any size – even if it is only 17″x 20″ like this one! 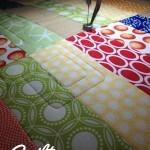 Also, this is the tutorial to make the blocks used in this quilt. Love this mini. 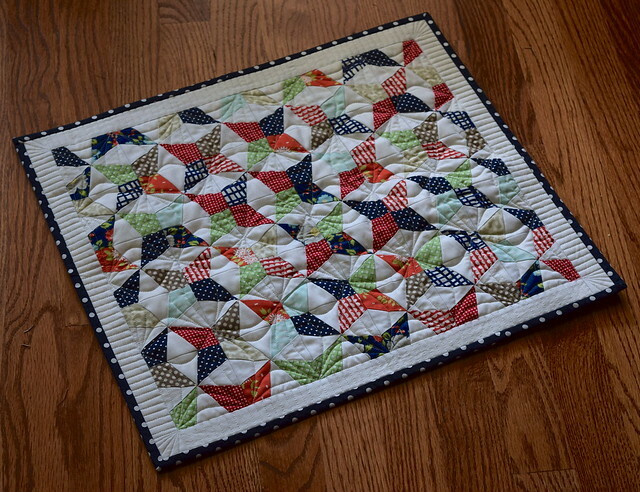 Beautiful quilted. Congrats with the finish.